Another year has passed and it's time to say goodbye to 2018. 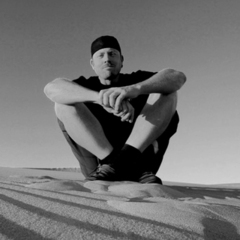 New Years Eve is on Monday night this year so make it a long weekend and ring in the new year in the sand at Dumont Dunes. Many people choose to spend the weekend out there, however it's not quite as busy as weekends like Halloween, Thanksgiving or President's Day. No matter how busy it is, always stay alert of other duners and never drink and dune. Always wear your safety equipment and come home in one piece. Don't get caught with fireworks. You will be ticketed and they will be confiscated. If you still do light off fireworks, at least clean up the debris when done. Keep dogs on leashes. Fireworks often scare them away and they go missing. New Year's weekend is one of the coldest weekends out there so stock up on firewood and propane. Government Shutdown: Dumont Dunes will remain open during the government shutdown; however, the restrooms will not be cleaned. Additionally, BLM Law Enforcement Rangers will be working during the shutdown for public safety. There will be no medical or fire personnel on site. Use 911 for emergencies. 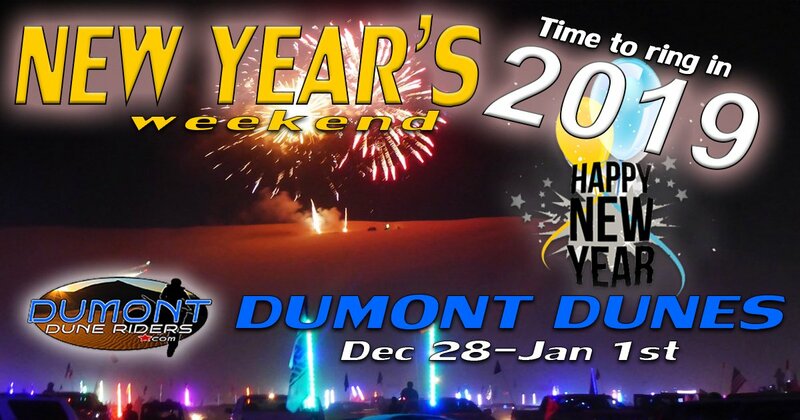 New Years at Dumont is a great party and there's no better place to be when the ball drops. Have a fun and safe weekend if you are headed out!